Our friend—as well as local NYC artist and lifelong vegetable lover—Pam Lessero just published a fun and friendly educational illustrated book for kids which focuses on the importance of eating healthy. The book’s protagonist (and Pamella’s alter ego?) 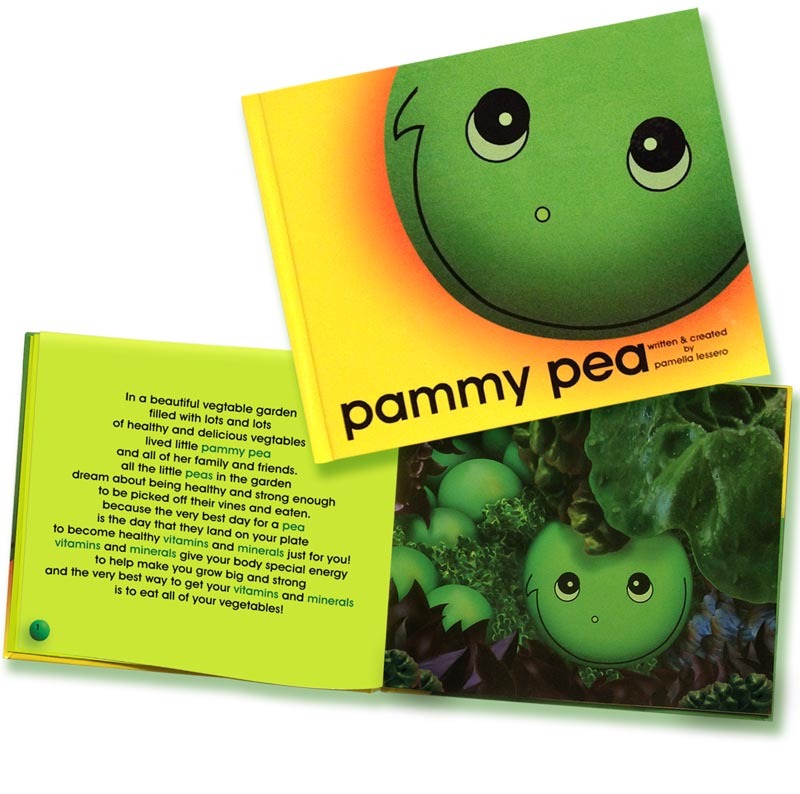 Pammy Pea, “…wants to inspire and teach children everywhere to be healthy and eat all of their vegetables. 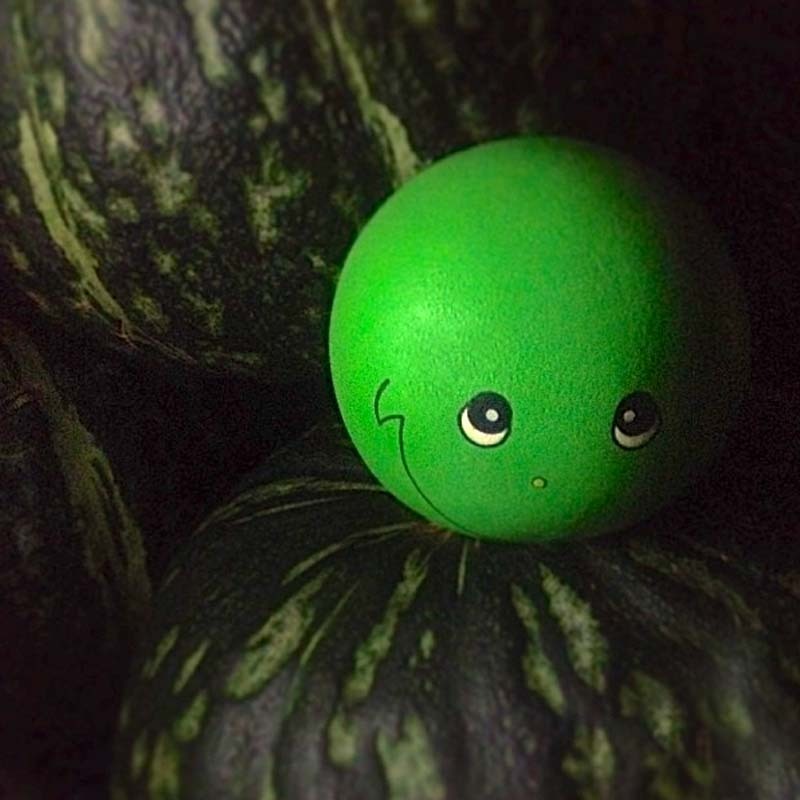 When she is not dreaming of landing on your plate, you can find her happealy rolling around the garden with all her pea family and friends.” Pammy Pea is targeted at the 3 to 6-year-old set and can be purchased over here. 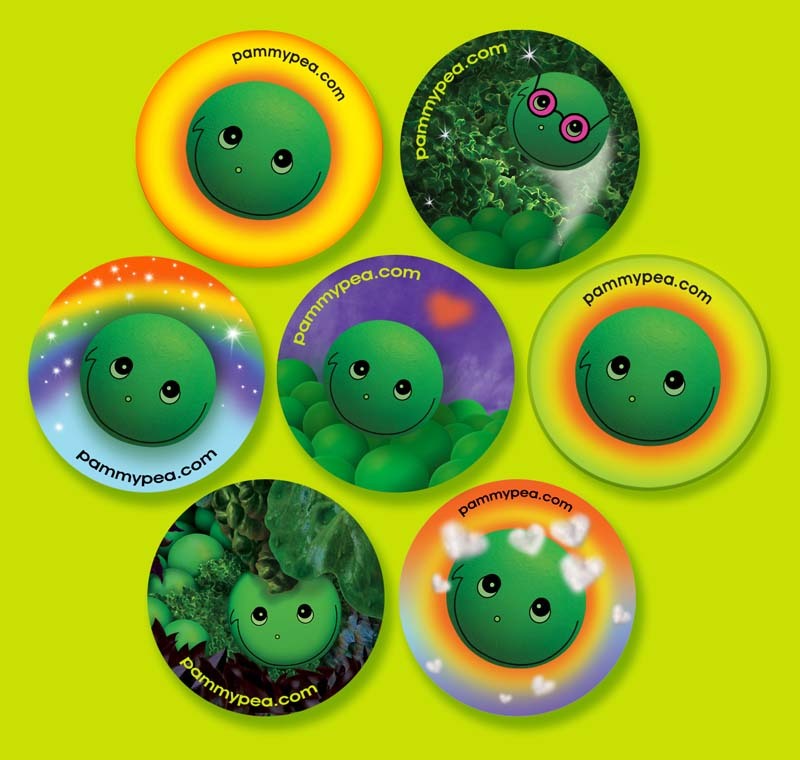 Stickers are available too, and a plush toy of Pammy Pea herself will follow shortly. You can follow Pammy Pea on facebook for updates too. This entry was posted in Food, Graphic Design, Pop Culture, Stuff We Like. Bookmark the permalink. All I can say is everyone … little munchkins, family, friends LOVE Pammypea – illustrations pop right out at you!! Perfect story with illustrations that will excite kids to eat healthy. My adult children remember the books that transformed their life’s today. This generation and the generation to come need more children’s books like Pammypea. Brilliant!